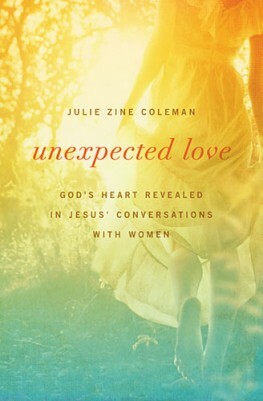 Unexpected Love, by Julie Coleman, is a book for women about the conversations Jesus had with 9 different women in the Gospels of the Bible (Mathew, Mark, Luke and John). This book is unique because it uses a combination of Scripture and "artistic license" by the author as she writes in the form of a novel and fills in possible details. This could be considered controversial by some, as it seems the author is adding to the words of Scripture. However, if you read the written scenarios with the idea that they are only possibilities of what might have happened, it doesn’t pose a huge problem. The author brings great ideas and insight into what each of the women might have experienced as they spoke with Jesus. She, then, digs deeper by asking/answering questions and explaining the historical atmosphere. She also follows up with how to apply Jesus’ conversations to today’s women; then, sums it all up with some "food for thought." I found the book to be very interesting and, for women seeking a closer relationship with the Lord, I would recommend using this book as a Bible study tool.